Why has green tea become so popular for this millennial foodie generation? Green tea, not only referring to the Japanese-style tea itself, but more specifically, its fine tea powder that is used to up the ante of classic cakes and desserts, has somehow permeated this 21st century to be one of the trendiest flavours among foodies. Whether it is going to be a mainstay or not is really up to us. Preheat a large non-stick skillet or frying pan over medium heat. In a medium-sized mixing bowl, put in the buckwheat flour, sugar, salt, baking powder and mix. 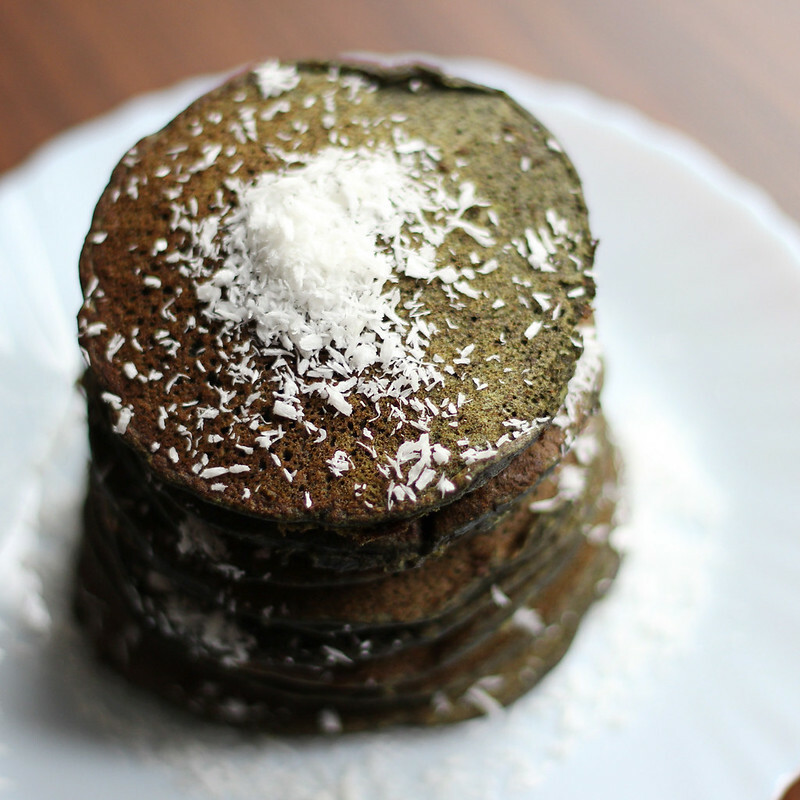 Add in the rest of the ingredients: flax eggs, almond milk, coconut cream, matcha powder and combine with a whisk until well incorporated. Spray the frying pan with cooking spray or pour olive oil just enough to grease the pan. Drop 1/4 cup of batter onto the pan for each pancake. Cook until bubbles appear on the surface, flip and cook for another few minutes. Repeat for the other pancakes.